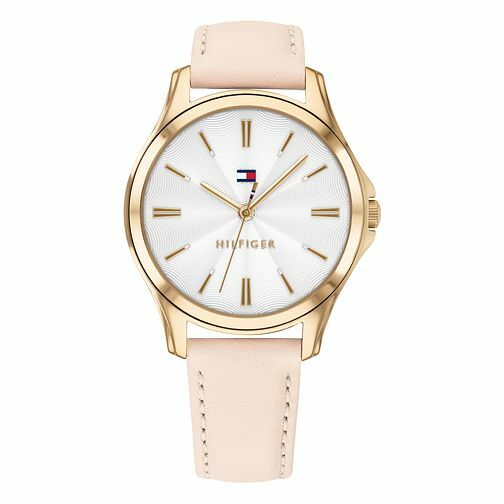 A charming ladies' watch from Tommy Hilfiger. Featuring a 34mm gold plated case, this gorgeous timepiece presents a pure white dial with spiral pattern, complimented by rose gold tone hands and hour lined markings. Completed with and blush leather strap, the perfect fashionable finishing touch.